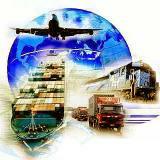 FREIGHT FORWARDING... I thought that was just for commercial purposes, not moving abroad! To be honest, not many international freight forwarders handle household goods & car shipping overseas, and most moving abroad end up using actual moving services. Seems like an intuitive decision, doesn't it? Well, it wouldn't be the most illogical assumption I've heard, but unfortunately for those wanting to ship their household goods overseas, a move like that could be a rather costly one. Why would moving services be more expensive? First, most movers are not really wired for international moves. This means that they don't have a lot of experience with customs or many of the other issues that only come with transferring belongings over borders and oceans. 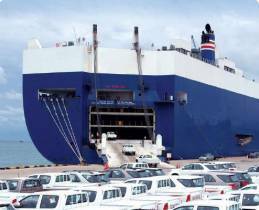 It also means that they don't have the overseas freight network to provide the best rates, deal with port fees, foreign clearance, and delivery & unpacking with inside delivery to meet high standards of services. - Which means they need somebody else to do the heavy lifting for them. And really what that translates to is having an extra cook in the kitchen (the moving company), which still wants to get paid. Many have already found a far less expensive method to ship their household goods & vehicles overseas! Not every forwarder offers it, but some will give you exactly what you envisioned when you set out on this quest, providing things like packing, warehousing, loading, shipping overseas clearance & delivery. Moving things like personal effects and household goods are different from repeat commercial accounts. It must be overwhelming to even consider something that is normally known for commercial and industrial applications, but it must also give you heart palpitations to deal with anybody for such an important move. It's not like you can drive your car from California to Australia, like you might do if you were only moving to a different state. But because this is such a big move, you're dealing with quantities that may actually compare to something you'd see in a commercial shipment, and the reality is that your moving service is going to be using the exact services I'm describing to you, but with a mark-up and lack of understanding of how the process should go. Because of this, I imagine you're pretty stressed. It's not like you're going to be doing this a lot, so to go out and learn the ins and outs of this industry is likely a long shot. This is why you require a friendly hand from inception to explicitly provide clear answers to your many questions & always making sure that each shipping step, customs, packing, loading, booking with the carrier all fall within a time line that the you must follow. It often starts with a detailed quotation that will show all of the services priced and itemized. At GO TRANSPORT CANADA we combine both worlds as we are both Freight Forwarders & Movers! For safety & cost-effectiveness, choose our team to handle your international move! How can forwarders help shippers improve their export process? The export process can feel like a foreign world to companies who are new to exporting or those with limited experience in international trade. Therefore, many companies choose to outsource international transportation and supply chain needs to a freight forwarder to increase efficiency and maintain compliance with government laws and regulations. While the manufacturer concentrates on producing high quality goods, the freight forwarder focuses on providing economical and time-sensitive solutions for the shipper. Freight forwarders manage the export process, looking for opportunities to streamline operations. Below are ten reasons to consider outsourcing international transportation and customs compliance needs to a freight forwarder. Freight forwarders concentrate on moving shipments from point A to point B with compliance and efficiency, mitigating confusion and delays. Forwarders assist with documentation, Schedule B classifications, Shipper's Letter of Instruction (SLI) and Automated Export System (AES) filings. Forwarders also advise shippers of estimated transportation costs, port charges, insurance rates and terminal handling fees. Additionally, forwarders work with international agents to facilitate the customs clearance once the cargo arrives in the destination country. Allow GO TRANSPORT CANADA to help guide you through the export world. Contact us today to learn more about our global logistics and supply chain services or click below to submit a quote request. Shanghai customs is tightening restrictions on the size of shipments for returning Chinese citizens. A returning citizen is entitled to a HHG shipment if they have lived outside China for at least 1 year for professional reasons, however Shanghai customs is interpreting this rule to mean that the stay must have been uninterrupted. The shipper cannot have come back to China for even acouple of days on business or for holiday. If they have, they currently only allow 2 cbm shipments. In practice Shanghai has always been more restrictive than other Chinese cities and only granted automatic entry to shipments of a maximum of 6 cbm, whereas other cities would allow a full 20’ container or even larger shipments. 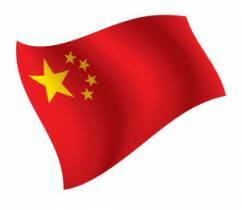 Whilst in some cases it is still possible to obtain entry to Shanghai for a 20’container at discretion of officers and upon submission of many documents, this is currently the most restrictive Shanghai customs has been for returning Chinese citizens. Pour l'expedition de vos colis en France par voie maritime ou par avion, contactez-nous au 514-312-3884 et il nous fera plaisir de vous assister. Nous pourrons vous fournir toutes les informations necessaires a l'entree de vos effets personnels en France, ainsi que les formalites douanieres. Nous pouvons envoyer vos effets aux Terminaux suivants : Le Havre, Paris, Marseille, Lyon et Bordeaux ou bien faire la livraison jusqu'a votre porte en France. Effective from Oct 1st, 2014, Shanghai customs in China required that all the electrical/electronic items in the shipment of household effects coming to port of entry Shanghai shall be declared in details with brand, model number, serial number and the value. The list of electronic/electrical items in the shipment with the requested information is requested to be submitted. The new or luxury brand electronic/electrical items might be assessed of higher value and the import duty might be higher than the used or normal brand ones. Moving overseas? Making the smart decision and taking advantage of Go Transport's full-service residential moving services will make moving a lot easier and less stressful - for both you and your family. In fact, we can take care of everything for you. From carefully packing your delicate china to crating your flat screen TV to shipping your vehicle, you won't have to lift a finger or a single carton during your move, unless you want to. Your first step is to contact us to arrange a free estimate consultation with a Go Transport Consultant. Your Consultant will then meet with you at your home to explain all of the services we offer and do a visual survey of the items that need to be moved. Your Consultant will then answer any questions you may have about the moving process, discuss shipment protection options and provide you with a professional cost estimate. Well if you’re in the second camp, this one’s for you. Here are seven excellent reasons to consider taking the plunge and hiring a pro to get your valuables from point A to point B. 2. Moving abroad? Self-packed boxes spell trouble in customs. You never know: maybe everything will go smoothly on the border. But maybe it won’t. And you really don’t want a hassle of that scale: customs officials encourage hiring experts to pack for you. 3. Your moving insurance probably doesn’t cover self-packed boxes. When you hire a professional, your moving insurance company can assume a certain standard of safety for your valuables. When you do it yourself privately, all bets are off. It’s not personal… it’s liability. 4. It’s too easy to overpack when you’re tired and stressed. Really, who wants to run to the store to pick up a few more boxes after a long day of packing? When you’re packing your own stuff yourself, you end up cutting corners. Pros have the opposite incentive: they’re there to impress. 5. Two words: organizational efficiency. Think the movers are going to mix it up? Truth is, you’ll probably enjoy better organization when movers pack for you than when you do it yourself – even if you’re a neat freak. They’ll even inventory it for you, so you can find it all easily later! 6. Pros have more experience moving fragile items. Most of us are quite adept at handling our own fragile items around the house, but moving? It’s a whole different animal. From mirrors to crystal to oddly-shaped figurines, movers know all the tricks. Hey, it’s their job, after all. 7. Just because they’re packing doesn’t mean you can’t be involved. If you’re hesitant to entrust your stuff to other people’s hands, it’s okay. Most movers are happy to let you supervise. This option allows you to put your mind at rest without adding liability to your move. This entry was posted in Blog and tagged moving best practices, moving insurance, should you pack your own boxes when you move on September 10, 2014 by Gadi Binness. We to wish to advise of potential delays to shipments to and from the United Arab Emirates, throughout the Muslim Holy Month of Ramadan and following three-day of Eid. With Ramadan having commenced worldwide from June 29, all public and private sector institution in UAE – including Customs, port authorities, airlines and shipping lines are operating at reduced hours. Normal operating hours during Ramadan generally comprise six hours on week days from Sunday to Thursday. New Customs regulations were recently put in place in Cameroon. Under these new rules, the importation of wine, oil and any foodstuff is strictly forbidden. In addition, importing televisions containing cathode ray tubes is strictly prohibited. Only flat screens are premitted to enter the country. Extra port storage, demurrage charges and taxes will be incurred if these rules are not followed. Other than destinations countries that border with the US, such as Canada and Mexico, international moving is done via containers. Standard containers are 20’ or 40’ long. When it comes to larger sized shipments, the process is fairly simple – a container is brought to the customer’s house; the container is loaded, sealed and taken to the port. This type of shipment is called FCL – Full container load. Small shipments that do not fill a complete container are called LCL – Less than a full container load. Such shipments are often loaded onto sealed wooden vaults and then loaded onto a consolidation container. There are many variations and various prices for this process. Such variations include services in which the container is only brought to the house and the customer loads it himself, driving smaller shipments to the mover’s warehouse to reduce pickup costs and full service which includes packing and loading. International movers will be able to offer you with the appropriate service, based on your budget and your needs. Documentation As mentioned above, each country has its own regulations, as far as documentation is concerned. Your status will also make a difference and in most cases there will be different regulations for those immigrating or seeking employment and returning citizens. It is recommended to check with the local consulate about the most updated regulations to make sure that you cover everything correctly. All international moves will require a descriptive inventory. This is an inventory which contains additional details, such as the content of each box and an estimated value for various items. As most incoming shipments are checked based on this descriptive inventory and are not physically inspected, it is very important to be as accurate and meticulous as possible. NASHVILLE, Ind. -- Conditions for shippers fell in July, according to FTR Associates’ Shippers Conditions Index (SCI), to a reading of -4.5. The SCI sums up all market influences that affect shippers; a reading above zero suggests a favourable shipping environment, while a reading below zero is unfavourable. FTR characterizes the current period “as an inflection point where costs and rates will begin moving up if the US economy continues to sustain a relatively healthy freight market as new regulations take hold.” Officials added that the forecasted tightening of capacity and associated increased shipping costs will continue to negatively impact the Shippers Conditions Index unless the economy slows more than expected. OTTAWA, Ont. -- Canadian rail freight traffic rose 6.8% in June from June 2011 to 27.2 million tonnes, according to a report from Statistics Canada. The gain was the result of increases in both domestic and international cargo loadings. Over the same period, the industry's core domestic transportation systems, composed of non-intermodal traffic and intermodal traffic, increased 4.9% to 23.8 million tonnes. Non-intermodal cargo loadings rose 4.2% to 21.2 million tonnes. The gain was the result of increased traffic in approximately half of the commodity classifications carried by the railways. The commodity groups with the largest increases in tonnage were coal, fuel oils and crude petroleum, and iron ores and concentrates. In contrast, several commodity groups registered decreases. Loadings of wheat decreased the most, followed by sand, gravel and crushed stone, and colza seeds (canola). Intermodal freight loadings rose 10.5% to 2.6 million tonnes. The increase occurred solely on the strength of containerized cargo shipments, as trailers loaded onto flat cars declined, StatsCan reports. At an international level, total rail traffic received from the US advanced 22.2% to 3.4 million tonnes. The increase was driven by both non-intermodal and intermodal traffic. MONTREAL, Que. -- CN is acquiring more than 2,200 new freight cars in 2012, as well as 1,300 new containers in a move to support traffic growth and improve customer service, the company has announced. "CN is acquiring new freight cars and containers for a range of markets, including forest products, metals, minerals, coal, iron ore, steel, consumer goods, finished vehicles, and grain,” said Jean-Jacques Ruest, executive vice-president and chief marketing officer for CN. “These fleet additions will help us grow in line with our customers' demands and ensure CN has the right mix of modern, productive assets." CN's largest rolling stock addition in 2012 is the acquisition of 600 premium 60-ft., double-door boxcars for forest products, and metals traffic. These higher payload cars are designed to help improve customer loading efficiency, the company said. • 200 multi-purpose boxcars for the North American freight car pool. "CN's rolling stock acquisition strategy is responding to evolving market conditions and is intended to ensure reliable, predictable supply chains for our customers," Ruest said. Abbotsford, British Columbia, July 25, 2012 — The Canada Border Services Agency (CBSA) today announced that NEXUS members can now enjoy crossing simply and smoothly into Canada at a new NEXUS lane at the Abbotsford-Huntingdon, British Columbia and Sumas, Washington border crossing. The lane is open from 8 a.m. until 8 p.m., seven days a week for entry into Canada. NEXUS members must show their membership cards upon arrival at the border until electronic card readers are installed later in the year. The CBSA decided to open the lane before it is fully functional given the enormous popularity of the NEXUS program, particularly in British Columbia. This opening allows NEXUS members the benefit of entering both Canada and the U.S. at this crossing. "This new NEXUS lane means a smoother crossing for pre-approved, low-risk travellers in British Columbia just in time for the long weekend in August," said the Honourable Ed Fast, Minister of International Trade and Minister for the Asia-Pacific Gateway. "It's another example of how Canada is working to improve the flow of legitimate travel and trade across our shared border." lifting the three-year residency requirement in Canada for Canadian and American citizens to apply to NEXUS. Currently there are over 700,000 NEXUS members who expedite their travel across the Canada-U.S. border at designated air, land and marine locations. For more information on NEXUS, go to www.nexus.gc.ca. For more information on the Action Plan on Perimeter Security and Economic Competitiveness, please visit the Web site www.borderactionplan.gc.ca. Follow the Canada Border Services Agency (@CanBorder) and Public Safety Canada (@Safety_Canada) on Twitter. “Not only is this practice wrong...” Weak. What I want to get across is that the government is using violence and violence is wrong. I want to point out the inherent niceness of freedom. "We are dedicated to supporting our customers' compliance requirements," says E. Allen West, Railinc president and CEO. "The SAS 70 audit validates that Railinc meets the highest standards for securing and protecting data exchanges with Railinc customers. It gives them assurance that their data is being processed accurately and completely." Under Section 404 of the Sarbanes-Oxley Act, companies are required to receive an opinion from their external auditors regarding their systems of control, including those extending to service providers such as Railinc. The SAS 70 Type II examination allows users to rely on Railinc's controls, reducing auditing expenses for its customers, as well as assuring compliance. The process examined the integrity and security of Railinc's systems, including an exhaustive assessment of internal controls in operations over a six-month period. Railinc's systems, procedures and controls--critical to processing information and millions of confidential financial transactions--were thoroughly evaluated. Specifically, the following four systems were examined: the Railroad Clearinghouse (RCH); the Interline Settlement System (ISS); the Rate EDI Network (REN); and the Liability Continuity System (LCS). Additionally, physical and logical security measures; network access and monitoring; systems development; change management; and customer service were also evaluated. Railinc is the largest, single source of real-time, accurate interline rail data in the North American transportation industry. Railinc is the supplier of time-tested products and services like Umler/EMIS, TRAIN II, Interline Settlement, Railcar Accounting, Steelroads, RailSight, and EDI connection services. These systems and services support railroads, shippers, equipment owners, and suppliers along every link of their supply chains. Class I, short lines, regional railroads, and transportation professionals alike, use Railinc's tools and information to manage and analyze their rail traffic.